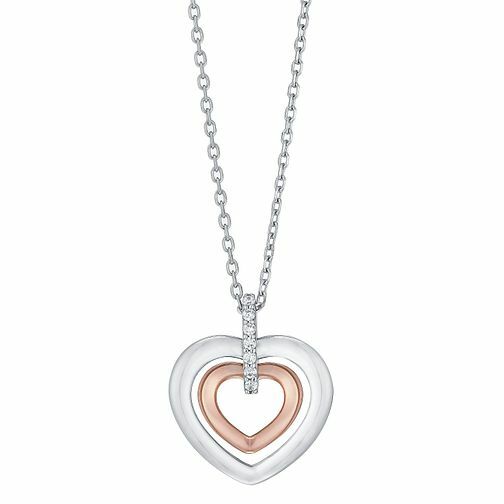 An elegant 9ct white gold and 9ct rose gold heart shaped pendant hanging from a cubic zirconia encrusted bale. On a 9ct white gold chain. Perfect for any outfit. 9ct White & Rose Gold Cubic Zirconia Heart Pendant is rated 1.0 out of 5 by 1. Rated 1 out of 5 by Anonymous from Disappointing quality. The outer heart was split and the inner heart was tarnished on the back. Returned to shop.